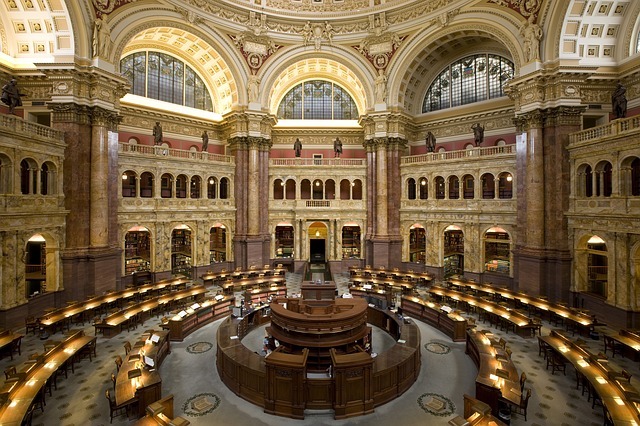 Tour the Library of Congress. The Jefferson Building at the Library of Congress is one of the most ornate library buildings you'll find, anywhere. Take a one hour guided tour of the building and find out about its extraordinary art and architecture, on Saturdays at 10:30am, 11:30am, 1:30pm and 2:30pm from the Ground Floor Information Desk.